The UK is set to become the next country to begin testing semi-autonomous trucks on its public roads. The trials will use a platooning system that involves up to three wirelessly connected trucks traveling in formation, with acceleration, braking, and steering all controlled by the lead vehicle. The UK government is spending £8.1 million (around $10.3 million) on the tests, which will be carried out by the Transport Research Laboratory before the end of next year. They will initially take place on a private track before moving onto public highways. As is the case with numerous self-driving car tests taking place today, the two trucks being controlled by the lead vehicle will have humans behind the wheel ready to take over should anything go wrong. Because the trucks follow each other so closely, it creates a slipstream effect that can reduce fuel consumption and emissions by up to 20 percent. It’s claimed the system will also help ease the country’s busy roads. “Advances such as lorry platooning could benefit businesses through cheaper fuel bills and other road users thanks to lower emissions and less congestion,” said transport minister Paul Maynard. Platooning has already been tested in several countries, including the US, but it will face a different challenge on the UK’s smaller, heavily congested roads. "We have some of the busiest motorways in Europe with many more exits and entries,” Edmund King, president of the AA – a driving organization similar to AAA – told the BBC. "So what that means is either the platoon would have to break up at entries or exits or indeed, pull over, and that could cause problems for drivers in other cars trying to get on the motorway or get off." "Platooning may work on the miles of deserted freeways in Arizona or Nevada but this is not America." 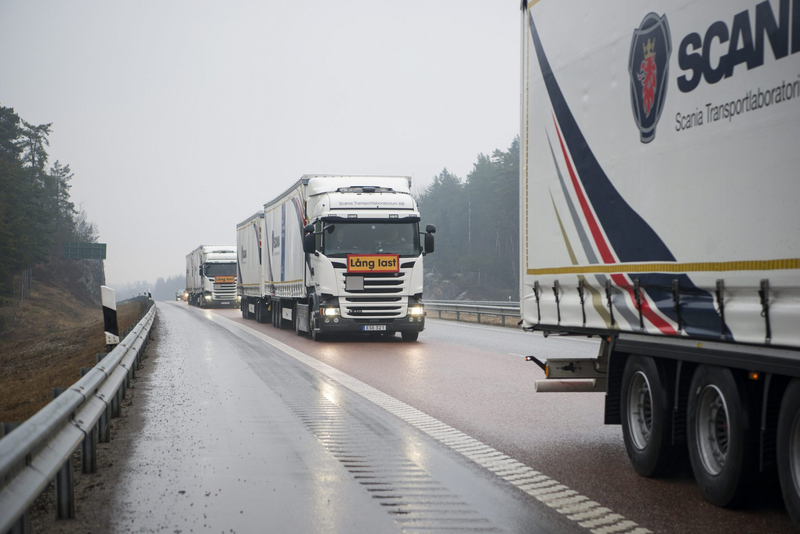 Last year, six of Europe’s largest truck manufacturers took part in a European Platooning Challenge that was organized by the Dutch government. Six conveys spent a week traveling across the continent to show the viability of the system.